but this is only the second one I've spotted out here. look at that barn. It has a nice big wall." We were headed toward the Eagle Caps. You can get a little better idea of the view in this picture. The hay meadows looked fabulous. I am happy for the ranchers. not sure if this is a barn for storing or does someone live there, the windows seem very small for a home, lovely way to display a quilt, do they leave them out all the time or bring them in when it rains etc. It wouldn't let me reply to your comment so will leave it as a new message. The barn is primarily for livestock. Hay would be stored in the loft & fed down to the cattle & horses in mangers usually along the sides of the loft during winter. They get lots of snow! 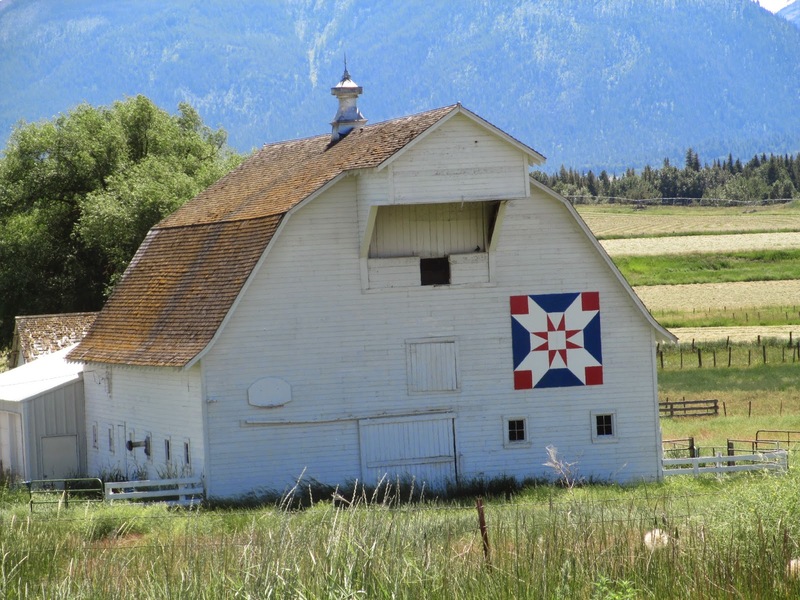 The quilt block is painted on the barn so they actually got up on a ladder & drew it all out then painted the block:) There are even road trips you can take to see lots of them & I think there is a book about them as well though I've not read it to tell you much about it. Is there anything quirky like that over there? Beautiful. What a treasure to find. I only see them on Pinterest and blogs. Thanks for sharing. I am a quitter and lover of vintage. I love old barns. I enjoyed visiting you. I came from Jes's linky. I linked too. I'll be back. Hope the rest of your week is beautiful. 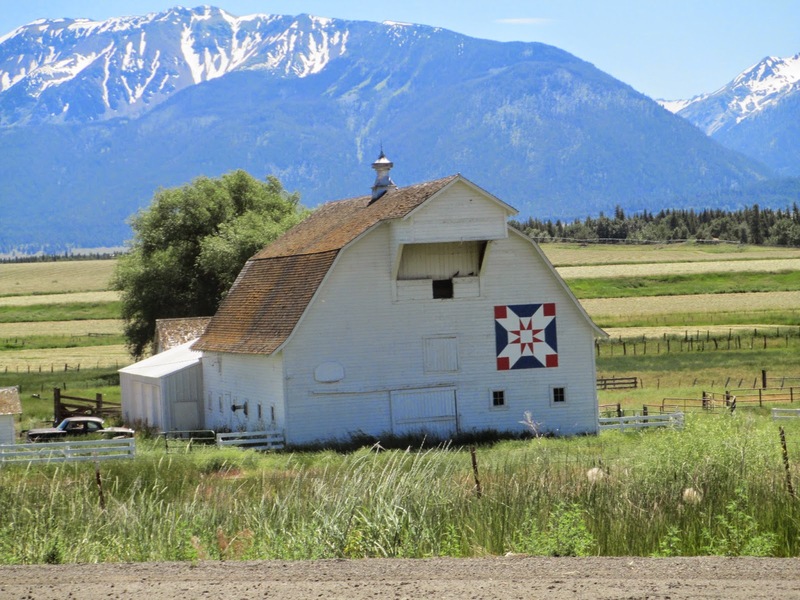 They have a barn quilt tour out here somewhere, a map with the locations so it's self guided. This is really a nice setting, I love the mountains. Drying Apricots & Too Much Eventfulness!